These waste recycling trolley sacks help keep your working environment clean and tidy, and at the same time help to segregate your waste before getting to your main waste/recycling bins. Available in single or double pocket varieties in quantitys of single units or packs of 5 and 10. Special volume over printing can be arranged please contact our sales office for further details. Tags: Waste recycling, trolleysack, racksack, packaging waste bags. 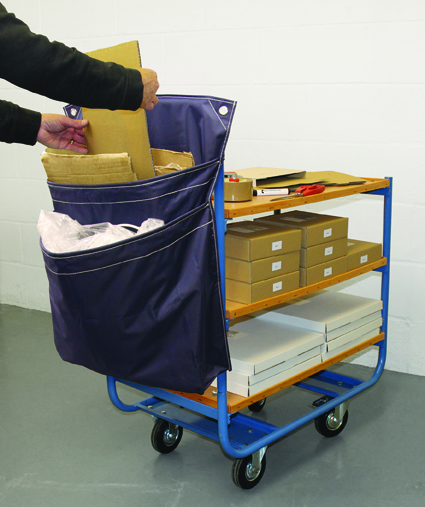 Keep your picking area clean and tidy as you go by fitting these recycling trolleysack’s. Not only do you keep un-wanted waste materials off the floor but you also help segregate waste. 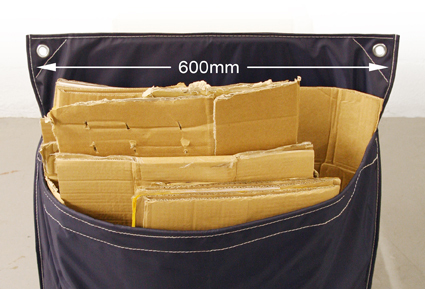 Made from tough waterproof polyester, these single or double pocket trolley sacks can adequately withsatnd the rigours of an industrial environments. 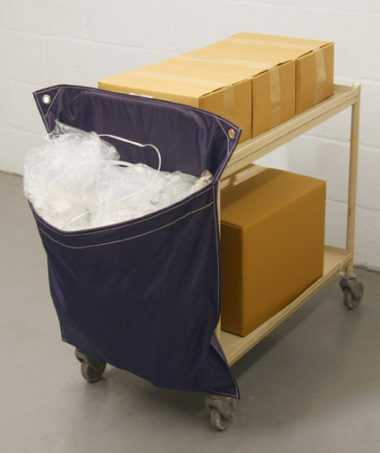 Ideal for hooking onto handles of picking trolleys up to 580mm wide or can be secured via eyelets in other locations. When full simply take to your main waste station and empty the pre-segregated waste.